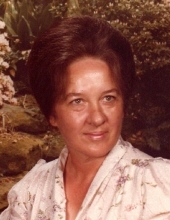 Mrs. Helen Louise Miller Rose, age 86, of Morehead, Kentucky, passed away Wednesday night, October 24, 2018, at her residence. She was born May 20, 1932, in Carter County, Kentucky, a daughter of the late Ellis and Leona Knipp Miller. Helen attended the Upper Tygart Freewill Baptist Church and she enjoyed reading, going to picnics and spending time with her family and friends. In addition to her parents, she was preceded in death by one daughter, Loretta Mays; one granddaughter, Lori Ann Knipp; one great granddaughter, Kaylee Davis; and one brother, James Miller. Helen is survived by her husband of 33 years, Willie Rose; one son, Charles Nicky Seagraves of Hazard, Kentucky; one daughter, Karen Seagraves of Olive Hill, Kentucky; five grandchildren, 16 great grandchildren; and four great-great grandchildren. She also leaves many other family members and friends who will sadly miss her. Funeral services will be held at 2 p.m. Saturday, October 27, 2018 at Globe Funeral Chapel in Olive Hill, Kentucky, with Brother Steven Keyes and Brother Jim Porter officiating. Burial will follow in the Garvin Ridge Cemetery in Olive Hill, Kentucky. Friends may visit from 6 p.m. to 9 p.m. Friday, October 26, 2018 and after 9 a.m. Saturday at Globe Funeral Chapel, 17277 West U.S. Highway 60, Olive Hill, Kentucky 41164. "Email Address" would like to share the life celebration of Helen Louise Miller Rose. Click on the "link" to go to share a favorite memory or leave a condolence message for the family.